Sue is a dual qualified lawyer (Solicitor/Barrister) with 19 years’ experience in the insurance sector. She started her legal career as an in house Solicitor with a large composite insurer before spending the next 10 years in private practise. She worked at two of the markets leading insurance law firms and worked her way through the ranks of Assistant, Associate, Partner and Technical Director, where she set up, developed and headed large teams of specialist fraud lawyers. Throughout her career she has run her own case load of high value and technically complex insurance fraud cases and during this time she worked with some of the country’s leading experts in fraud including Counsel, Medics, Engineers and industry organisations. She was called to the Bar in 2010 and completed her training at the Criminal Bar (Citadel Chambers). This enabled Sue to further develop her knowledge and expand her experience in fraud cases. During this time she marshalled a number of Judges on high profile Crown Court cases. She regularly prosecuted and defended cases and was retained as an Advocate in the County Court, High Court, Youth Court, Magistrates court and the Crown Court. It was at the Criminal Bar that she developed her knowledge of private prosecutions and advising insurer clients and other commercial organisations on the merits of pursuing this route. Sue joins Clerksroom in November 2014 and her insight into the insurance industry, combined with her wealth of experience in private practise, the civil arena and more recently the Criminal Bar puts her in a unique position to provide her clients with a truly holistic approach to every case she is instructed on. She is a passionate individual, honest and known for being a robust lawyer. She works extremely hard and prides herself on paying absolute attention to the detail of every case. As a previous Solicitor she has vast experience of running cases from beginning to end; understands the importance of listening to her clients, offering solutions and working with them in a professional and down to earth way to secure the desired outcome. She works to quick turnaround times on paperwork and will travel. Sue has lectured to the members of EHFCN (European Healthcare Fraud and Corruption Network) as well as the Insurers of Europe in Brussels, HICFG (Health Insurance Counter Fraud Group), IFIG (Insurance Fraud Investigation Group), IFED (Insurance Fraud Enforcement Department), ACII (Association of Chartered Insurance Institute), brokers, insurers, health care providers, Lloyds Syndicates, specialist investigation firms and Loss Adjusters. She has also provided technical training to many lawyers in the market. In 2013 Sue organised a mock private prosecution (involving a workplace fraud) and has done work with counter fraud groups based in America. She is keen to provide further seminars, presentations, workshops, clinics and knowledge cafes. Sue will provide drafting, advisory and advocacy services including disposal hearings, interlocutory hearings, fast track and multi-track hearings. Sue acts for interested parties before a Coroners Court and is keen to expand this practise area. Sue has started to develop a reputation in data protection and privacy law. She has advised a number of organisations including general insurers, health care insurers and counter fraud organisations on the use of personal information (under the Data Protection Act and the GDPR) and the legal implications of sharing data in the domestic market as well as internationally for the detection and prevention of crime/fraud. Sue is keen to expand this area of her practise as well as advising on an organisation’s compliance obligations generally. Issuing false or unnecessary prescription drugs. “Sue is one of a hand full of individuals that has made a real difference to our business. She is a true ambassador to your organisation” … General Insurer client. Sue is married with a 14 year old daughter, who enjoys horses and playing polo. They like to travel and as “foodies” spend a lot of their time in the kitchen cooking, eating, talking and playing the fiddle. I find Sue [Pawar-Price] friendly, informative, and very easy to contact, her attention to detail is brilliant. I have no hesitations when receiving a booking for her via clerksroom and would recommend her on any MOJ PI/RTA matter. Thank you (Sue Pawar-Price) for your detailed report of yesterday's hearing. I have spoken to the client today and they are very pleased with the outcome and have been singing your praises! Thank you for your help in this matter. I would like to thank you (Sue Pawar-Price) again, but in writing, for your exceptional work today. I felt immediately at ease after meeting you and I felt that our communication was clear and effective. The outcome reflected the discussions that we had over the morning and I feel that you already knew this. I wish you all the best for future cases. 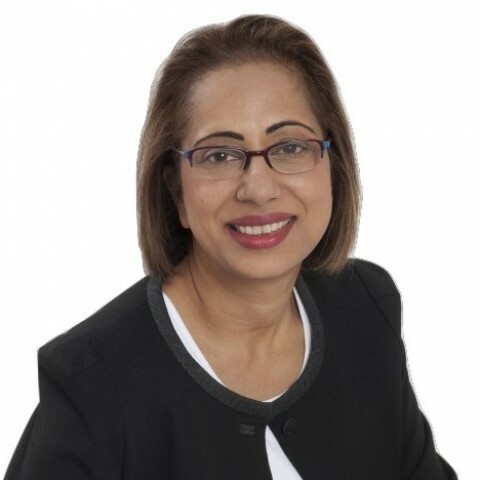 Outside of these key areas of law, Sue Pawar-Price (2010) is always willing to consider any enquiry requiring the experience or knowledge needed to help you or your client. Please call Sue direct or the support team on 01823 247 247 if you would like to discuss any aspect of this profile.